Linda has enjoyed working in the Fitness Industry for the last 25 years. Starting as an aerobics instructor and personal trainer she then moved into educating others delivering courses in Exercise to music, Personal Training, Ante Post Natal and Older Adult exercise for YMCA Fitness Industry Training and continues to work as an educator, assessor and quality assurer for a variety of Training Providers and Awarding Organisations. 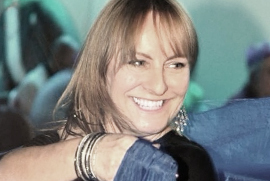 For variety Linda has enjoyed training in Tai Chi, Qi Gong, Belly Dancing, Stott Pilates Reformer, Total Barre and is looking forward to sharing her love of these with others in her continuing journey in the Fitness Industry.